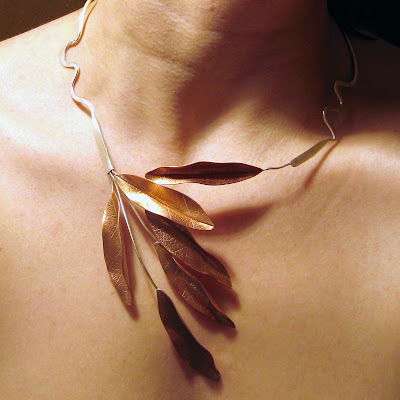 I love to make these copper leaves! I have had this necklace in my brain for a while and I finally had time to fabricate it. I just listed it today on etsy, in time for holiday shopping. Thanks Danielle. Its been in my brain for awhile--I was so grateful for the time to do it. That is just awesome, Sara! I LOVE it!